The U.S. House of Representatives will soon be controlled by lawmakers opposing President Trump. That gives them more scope to push their agenda on trade, infrastructure and a perennial bogeyman, the banks. But as Republicans still run the Senate, policy changes will be minimal. 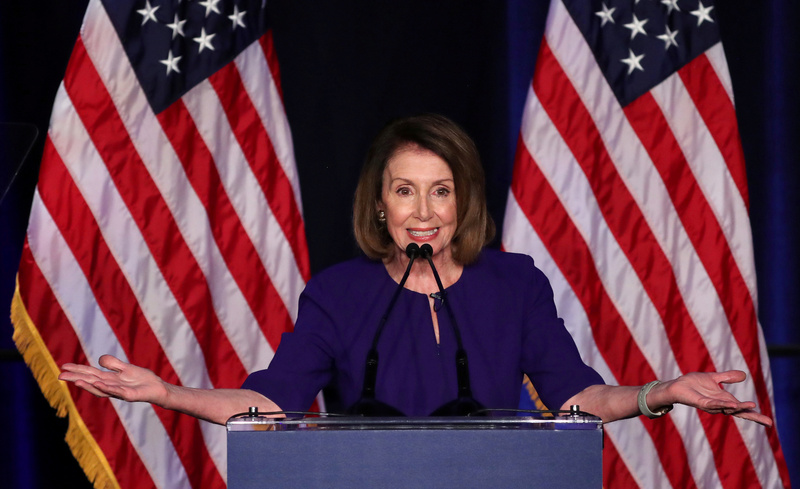 U.S. House Minority Leader Nancy Pelosi reacts to the results of the U.S. midterm elections at a Democratic election night party and rally in Washington, U.S. November 6, 2018.